I am OFSTED registered Childminder with good childcare experience. I am very friendly and polite with children and make sure children under my care are safe and secure as I follow EYFS policies and procedures I make sure all the children personal data stay confidential. I do provide healthy food and snacks to the children under my care. I provide School drop off and pick up as well in Goodmayes area and nearby. All the parents are more than welcome to book a visiting appointment. I am looking forward to meet your little Angels soon. I have got more then 5 years of experience in looking after Babies,Toddlers and young children in Childcare. Below are the latest reviews for Teddy B. Please note that reviews represent the subjective opinions of other Childcare.co.uk users and not of Childcare.co.uk. Parents must carry out their own checks and references on childcare providers to ensure that they are completely happy before enaging in the use of their services. Sasha is a very very great childminder. My daughter is very happy with her. She is very friendly and communicative. thank you so much Camelia that is so kind of you. 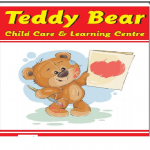 Best childminder and great person I have ever seen my boy is very happy in your childcare thank you so much Teddy bear childcare.i would recommend all other parents as well to join Teddy bear childcare. Thank you so much Isa's mum .i would love to provide childcare for your child when ever required take care.